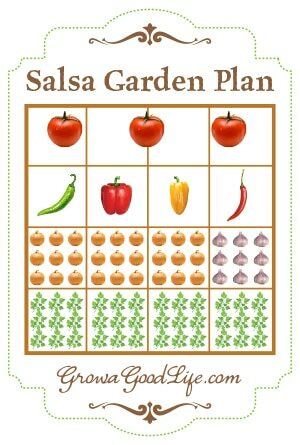 If you love salsa in the summer, planning your garden around salsa ingredients is a smart idea. Here are tips to plant a salsa garden that will provide plenty of ingredients for fresh salsa all summer long. Select an area that receives at least 6 hours of sunlight a day. A 4×4 foot raised bed or square foot garden will grow plenty of ingredients for fresh salsa. A trellis on the north side of the bed will provide extra room for vining tomatoes to grow without shading the other plants. Start onions, peppers, and tomato seedlings from seed under lights or purchase transplants from your local nursery or garden center. Onion sets, garlic seeds, garlic chive, and cilantro seeds are also available online or at your local garden center. The basic ingredients that go into salsa are tomatoes, peppers, garlic, onions, and cilantro. 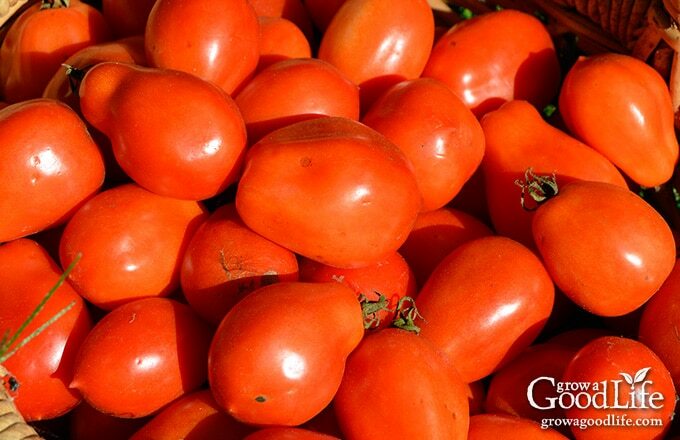 Select meaty indeterminate varieties of tomatoes with good flavor. I like using paste tomatoes such as Amish Paste, Juliet, and San Marzano. These are dense, have few seeds, and not a lot of moisture to water down the salsa. Other fleshy varieties to consider are Cherokee Purple, Brandywine, or Bloody Butcher. If you love Salsa Verde, consider replacing one of the tomato plants with a Tomatillo plant. One plant will provide you with lots of tomatillos for fresh salsa verde. Indeterminate tomato plants grow very tall and produce their fruit over a period of time. Three tomato plants located on the north side of the garden bed along the trellis will provide you with plenty of tomatoes for salsa beginning mid-summer until frost. Purchase transplants from your local nursery or garden center or grow from seed. Start seeds indoors under lights 6 weeks before your last frost date. Transplant hardened-off seedlings into the garden after all danger of frost has past. Plant 16 inches apart along the north end of your garden in front of the trellis. Tie the vines to the trellis as the plant grows. Prune out lower branches to aid in air circulation. Water regularly if rainfall is scarce. Plants need about 1 inch of water weekly once they are actively growing. Do you like your salsa mild or hot? For a hot salsa, select varieties of chili peppers such as Jalapeño, Serrano, or Habanera. If you prefer a mild salsa, opt for bell peppers and mix with a mildly hot pepper like Anaheim. Four different pepper plants will allow you to mix, match, and experiment with a variety of salsa flavors. Purchase transplants from your local nursery or grow from seed. Start seeds indoors under lights 8 weeks before your last frost date. Transplant hardened-off seedlings into the garden after all danger of frost has past. Space pepper plants at least 12-inches apart. Use small tomato cages to help support the plants. Water regularly if rainfall is scarce. Plants need about 1 inch of water weekly once they are actively growing. 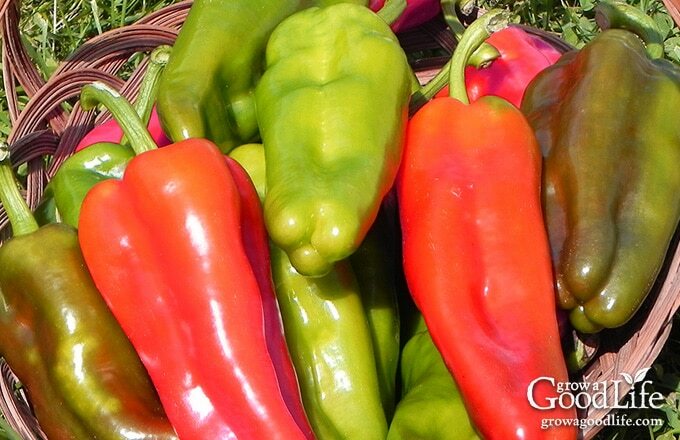 Also see 10 Tips to Growing Peppers in Cold Climates for additional tips. Onion flavors range from sweet to pungent. Select onion varieties that grow well in your area. Grow from seed, purchased transplants, or onion sets (small bulbs) found at garden centers in the spring. Onion sets are convenient and usually sold in bulk by the pound and come in yellow, white, or red. Grab a handful of each for some variety of flavor and color. Store extra onion sets in a cool, dark location and plant whenever a spot opens up. Space onions 4-inches apart or 9 per square foot. Garlic is usually planted in the fall for larger bulbs, but it can be planted in the spring as soon as the ground can be worked. The spring grown bulbs will be smaller, but will taste the same. 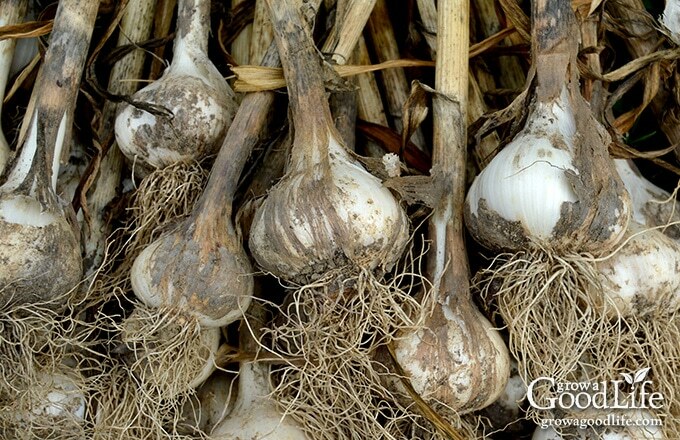 You may be able to find garlic bulbs for planting at your garden centers or order online. Space fall planted garlic 6 per square foot and spring planted garlic 9 per square foot. Another option to add garlic flavor to your salsa is to purchase a garlic chive plant from your garden center. Chopped garlic chives will add a nice, mild garlic flavor to your salsa and will make a nice addition to your salsa garden. Cilantro adds a nice, fresh zing to salsa. 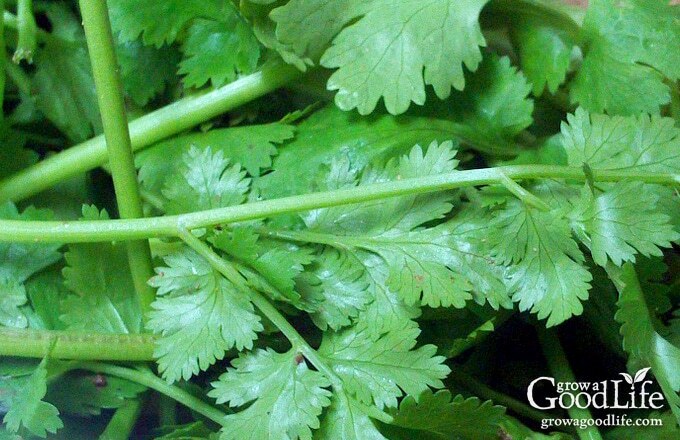 Cilantro matures quickly especially in warm weather so to keep a continuous supply of cilantro available for your fresh salsa, grow a slow bolt variety, such as Cilantro Long Standing and keep seeding every 3-weeks. Direct sow cilantro seeds in one square, 4 inches apart or 9 per square foot. Cover seeds with 1⁄2-inch of soil and keep moist. Sow another round in the next square 3-weeks later, then the next 3-weeks after that, and then the next. Keep rotating and this will maintain a steady supply of fresh cilantro growing and ready for harvest for your salsa. 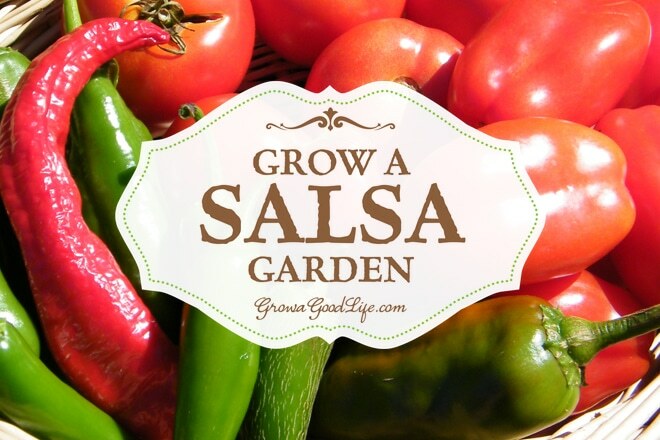 If you enjoy eating fresh salsa in the summer, growing a salsa garden will provide you with the fresh ingredients you need to whip up salsa at a moments notice. I’m about to plant my first salsa garden and am so ecstatic! I go through jars of salsa like they’re water, so very ready to make my own. Thanks for the article, very helpful. Great post! I plant a salsa garden too. I chose you as one of my favorite posts from the April Country Fair Blog Party. Hope you sign up again for May’s Celebration blog hop. I have trouble with onions here in Virginia! I keep trying though, but can’t figure it out! Thanks for sharing all this over at Country Fair Blog Party! Please come back in May and keep us posted on what you are up to! Jan, Be sure to check out my post on Growing Onions from Seed (https://growagoodlife.com/how-to-grow-onions-from-seed/). 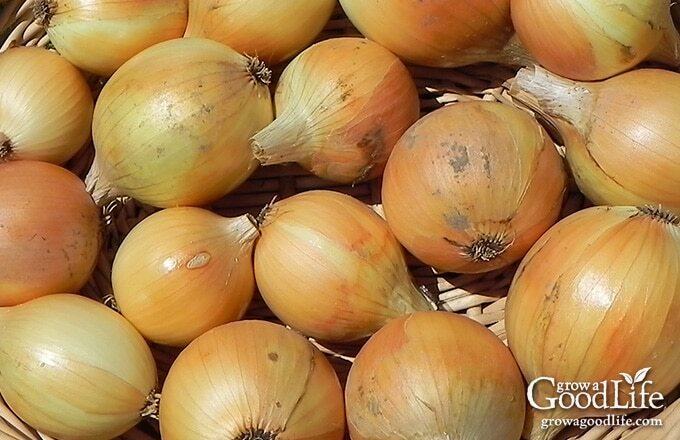 There are some tips for selecting onions that grow in different areas. My family is full of salsa fiends, but I’ve actually never tried making my own! Your recipe sounds delicious and I might have to give it a try. Hopefully my tomato plants will actually grow this year! Thanks so much for sharing this at Savoring Saturdays – I’m going to feature it at this weekend’s party – I hope you’ll come back and share with us again! Hi Rachel – Thanks for sharing this with the Let’s Get Real party. We have pinned it to our group board, and it will be my featured post at this week’s party. Just a note to let you know that I have chosen your post as one of my features for this weeks Real Food Fridays blog hop that goes live on Thursday @ 7pm EST. Thank you for being part of Real Food Friday and sharing your wonderful post. Blog Hop! I’m pinning and sharing! Rachel ….this looks so good and is making me soooooo hungry now. I have to go to my first Spring party of the season today and if the grill was hooked up I so would be making this today. There is nothing like fresh salsa! We grow those ingredients but I like how you called it a salsa garden 🙂 Very clever! Thank you for sharing with us on the Art of Home-Making Mondays! 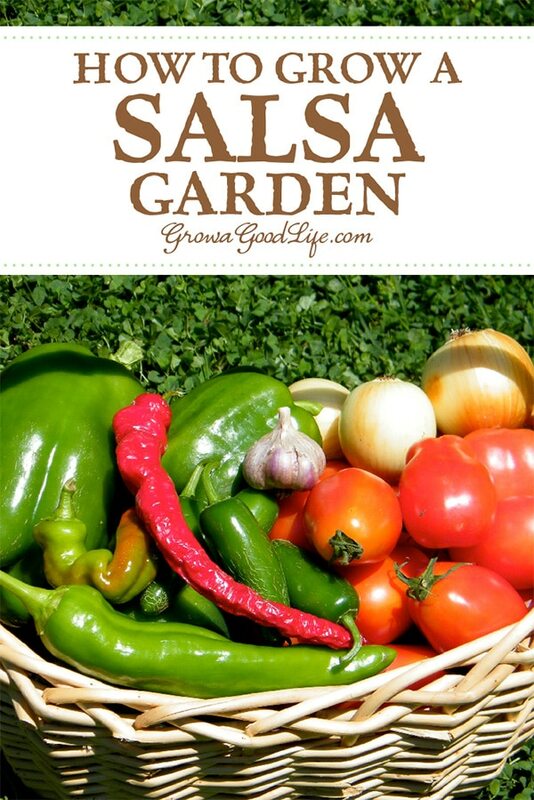 I love the idea of a salsa garden… And of GRILLED veg in my salsa. What a great idea! I’m pinning this one. Hello from Urban Naturale’s blog hop! love this post my husband will to i can’t wait to show him !! What a fabulous way to grow a garden! I love how organized it is. Thanks for sharing this wonderful post on The Maple Hill Hop! Enjoy your salsa! I love salsa! I usually do make my own because homemade is so much better. We moved last May and I still don’t have my area tilled up because we been busy remodeling. But I did get a small raised bed up for my onions and garlic. There’s still a little move left to maybe plant a couple pepper plants (like my salsa hot). I’m thinking that I may just make another raised bed for the tomatoes. I would love to learn how to can my own salsa. That’s for sharing your nice post and recipe, I’ve never tried grilling my tomatoes and pepper before making the salsa. Will have to give that a try. Thanks! 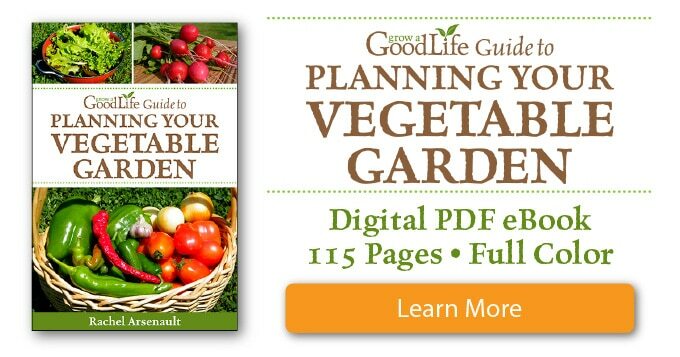 Linda, One of the benefits of a square foot garden is that you build it on top of the ground. No tilling needed. Another suggestion is to make a few self watering containers (https://growagoodlife.com/constructing-18-gal-self-watering-containers-swc/) for growing tomatoes. One 18-gallon tote can grow two Roma tomatoes. If you are interested in canning your salsa, you will need to use a recipe that can be canned safely. I use the Zesty Salsa recipe from Ball for canning (http://www.freshpreserving.com/recipes/zesty-salsa). 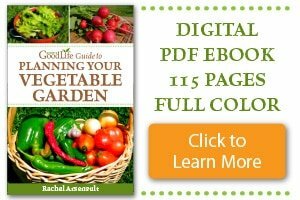 Fantastic article, im a landscaper over in Calgary and have a great appreciation for growing your own vegetables. And you can go wrong with some home grown Salsa, it always tastes better when you grew and made it your self. Thanks for all the details. Homemade is always best but when you even grow your own ingredients, that is just awesome! So glad you shared this with us at Merry Monday. I am inspired. Grilled vegetables! This recipe is up my alley, It sounds amaizing , Ill have to try it this year. Thanks… Have you ever canned it? Matt, Yes, you can can salsa but you will need to use a recipe that can be canned safely. I use the Zesty Salsa recipe from Ball for canning (http://www.freshpreserving.com/recipes/zesty-salsa). You can mix and match the peppers as long as the quantity remains the same. Grill the vegetables for an added smoky flavor. I canned salsa for the first time last year (with all homegrown ingredients) & there is just no comparison to the store bought stuff, that’s for sure! Margaret, I agree completely. Because of our tomato shortage last year, I am already out of home canned salsa. I tried a store bought jar and can’t finish it. It just doesn’t taste the same.